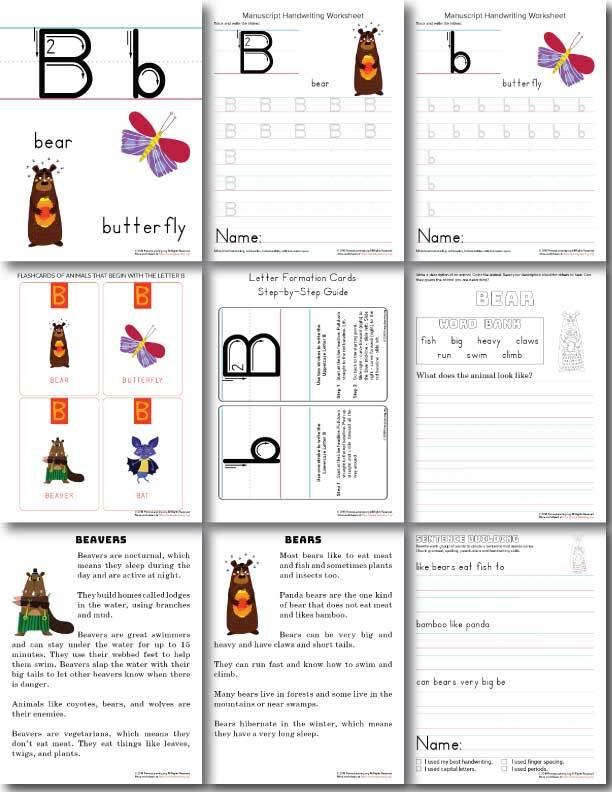 The Letter B Activities Workbook contains a variety of handwriting, writing and reading activities. Teaching students how to write requires lots of modelling, guided practice, and independent practice. Teaching reading with a meaning-making experience increase curiosity and develop vocabulary. Simply reading words on a page does not equate to understanding what has been read. 3. 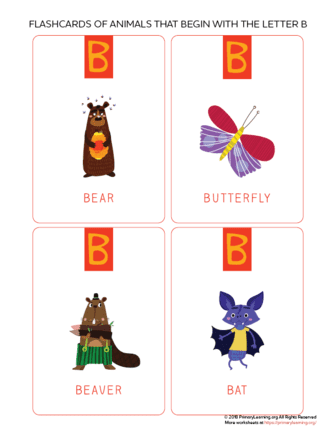 Letter B Animals Flashcards. 6. 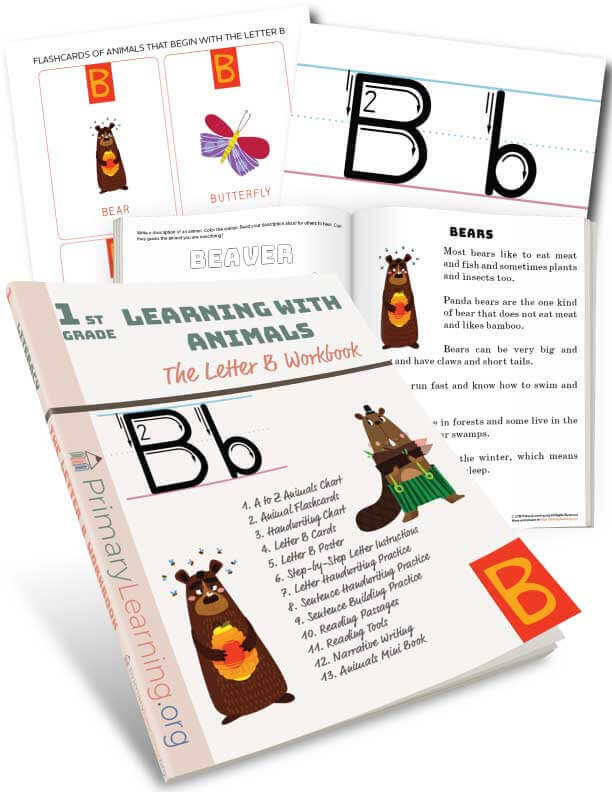 Letter B Formation Cards. 7. 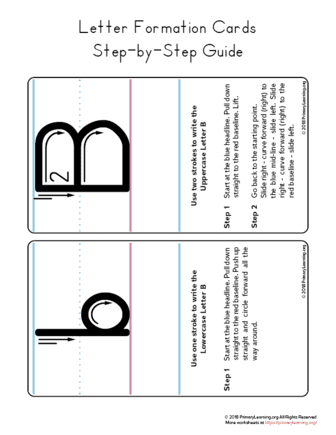 Step by Step Instructions “How to Make a Letter B”. 8. Handwriting Practice. 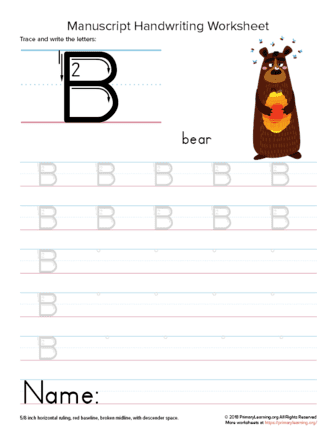 Uppercase and Lowercase Letter B. 9. Handwriting Sentences Practice. 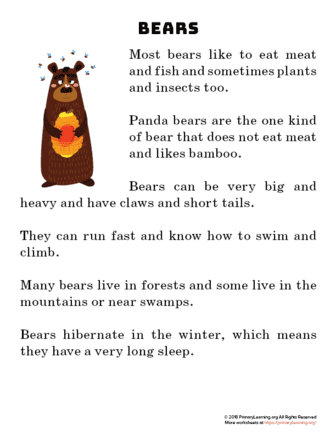 Fun Facts About Animals (Bear, Beaver). 10. 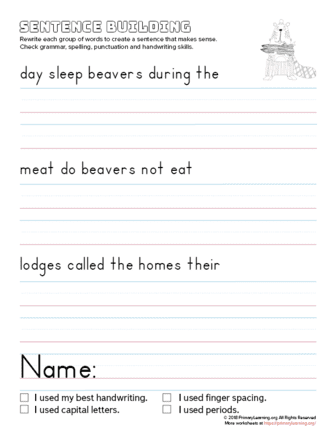 Building Sentences (Bear, Beaver). 11. Reading Passages (Bear, Beaver).